Rated as one of America's finest suburbs, Ridgewood is a prime example of what suburban living should be. Ridgewood is graced by exquisite homes and well maintained properties and also offers its residents an unprecedented level of Village activities and recreational facilities. Adult programs, fine arts, music school, libraries and countless other excellent amenities make Ridgewood stand out as a model of success. Graydon Pool, the municipal swimming and summer activities complex, has a large shaded pool and full facilities for picnicking and outings. Veteran's Park, situated adjacent to the pool complex offers a broad expanse of grass for children's play within its twelve acres. Several public and private golf courses are only minutes away and there are many tennis courts within short walking distance of town. Ridgewood's excellent school system includes nine public schools, Ridgewood High-an outstanding high school, and a parochial school. 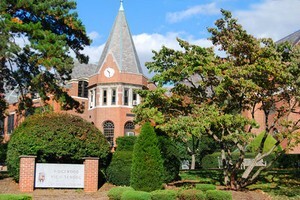 Over 80% of Ridgewood graduates continue on to higher education. 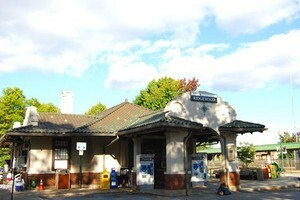 The Ridgewood Train Station offers fast service into New York City, making for an easy commute. This magnificent village has much to offer and continues to provide its residents with the highest standard of cultured suburban living. Listing courtesy of Tarvin Realtors. Listing courtesy of Special Properties Real Estate Services-Ridgewood.